Football news and views. Player reviews and match previews. 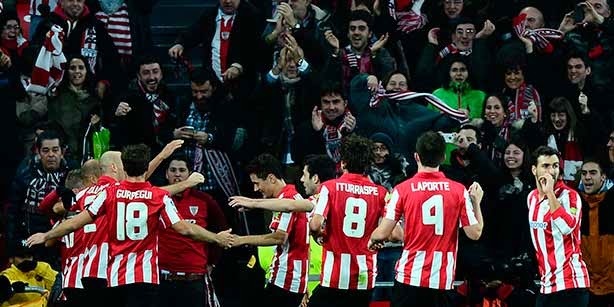 Last season’s campaign saw Athletic Club qualify for the Champions League for the first time since the 1998/99 season. They will have to qualify via the play off draw after finishing fourth, where they have been drawn against Rafa Benitez’s side Napoli. If they can get past Napoli it will be a fantastic start to the season as they look to continue last season’s good form into the new campaign. There was a whole lot of changes last summer at Athletic Club. Ernesto Valverde was the man brought in to replace Marcelo Bielsa. There was a lot of excitement surrounding this news as Ernesto was a manager with a lot of experience managing in La Liga and he was presented with the challenge to revitalise the squad which was worn out under Bielsa. It was also the clubs first season in their new stadium. The San Mames Barria wasn’t ready for the start of the season as Athletic had to start their campaign at Rival’s Real Sociedad’s stadium The Anoeta. Athletic had a great home campaign at the new San Mames, winning 13 of their home games including their brilliant 1-0 win over FC Barcelona. Athletic’s home form was one of the biggest factors in them qualifying for the champions league. They confirmed their spot in next year’s competition after beating Rayo 3-0 at the start of May. They will have to begin the new season without their star man Ander Herrea. The 25 year old midfielder signed for Manchester United after the club payed his release clause. The club won’t have to look to far to replace Herrea as they will be hoping Benat can step up to fill the role. They was a lot of stand out performers for Bilbao last year. Aritz Aduriz finished as the top goal scorer for the second year running after netting 16 goals last season. Ibai Gomez and Aymeric Laporte both had excellent campaigns and new signing Mikel Rico was a fan favourite with his energetic approach to the game. Athletic have looked to bolster their forwards options this year with the purchase of Borja Viguera from Deportivo Alaves. The forward has similar traits to Aduriz and he netted 25 goals in the Liga Adelante last year. It is going to be a difficult campaign for Athletic this year. The addition of Champions League football ( if they get past Napoli) will prove a great challenge to the clubs small squad. The competition for fourth this season is tougher then ever with the investment that both Valencia and Sevilla have made. Bilbao will be hoping that their current stars can produce the same type of performances both in Europe and their domestic games and they will also be looking at some of their younger players to step up and break into the first team, including forward Guillermo and highly rated midfielder Unai Lopez and with the stadium near full completion, expect an even more incredible atmosphere on match day. A good Champions League campaign would be brilliant for the club but it could holster their progress in La Liga. Prediction: 5th.